Colorado Secret Ballot Battle: Can You Collect Too Much Data? The ongoing battle in Colorado (which I blogged about in September) over whether voted ballots should be available for post-election scrutiny has taken a new recent twist. Right now, county election clerks are facing a court order and pending state regulations requiring disclosure of voted ballots. In response – and in support of a legislation to override the court order – the Colorado County Clerks Association recently sent lawmakers a presentation arguing that by “data mining” other data election clerks collect, it is possible to isolate specific voted ballots and thereby compromise the secret ballot. Advocates for transparency reply that some of the data clerks currently collect is unnecessary and – if “data mining” really is that effective – that clerks have already compromised ballot secrecy, which is in itself a problem. Why do election officials currently collect the data at issue here (ballot style, precinct, voting method, etc.) – that is, what value does it add to their election administration processes? Is such data valuable enough that it justifies continuing to shield individual ballots from scrutiny under the court order and pending regulations? If not, how can/should election clerks change their ballot processing and data collection regimes to allow for transparency of ballots without compromising ballot secrecy or the need for efficient and effective election administration? The answers are likely to have an impact outside of Colorado; as more states diversify their election operations and collect data in order to optimize their processes, this conflict is likely to arise again and again. Here’s hoping that Colorado can find a way to make it work for all concerned. 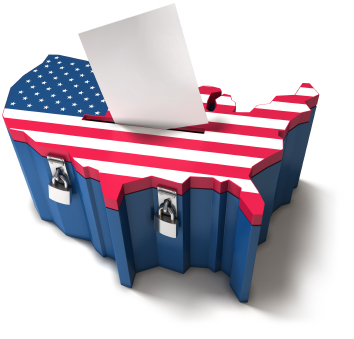 1 Comment on "Colorado Secret Ballot Battle: Can You Collect Too Much Data?" I am a member of the Election Commission (EC) in Aspen, CO. I also have roots in Minnesota and the U of M. The City of Aspen (CoA) is fighting attempts to have anonymous ballots viewed by the public. The Colorado court of appeals ruling of Sept 29, 2011 appears to rule that anonymous ballots are pubic records subject to CORA (Colorado Open Records Act). The EC has a CORA request for anonymous ballots from the 2011 election. The CoA does not want to release them. The EC meets on November 1, 2011 at 4pm in Aspen to discuss the issue. I am attempting to arrange to have the meeting webcast so interest parties not able to physically attend may follow the meeting. If people are interested in viewing please send the Clerk of Aspen an email requesting that the meeting be webcast. The email is: clerk_city@ci.aspen.co.us. Data mining has become the buzz term. I feel we could all benefit from an agreed upon definition of what exactly is “data mining”, is an exit poll data mining? Is studying election results by precinct data mining? Is data mining only attempting to determine how a person voted?